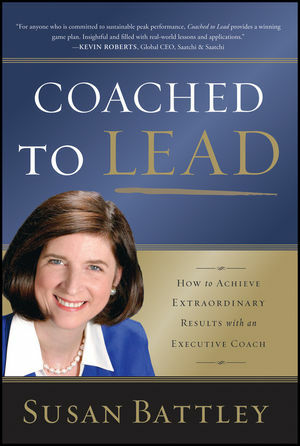 Coached to Lead is the first consumer’s guide to executive coaching. Drawing on her twenty years of experience and direct research with an elite international clientele, renowned CEO coach Susan Battley offers step-by-step advice for achieving the same extraordinary results that top leaders get from executive coaching. Filled with insider tips, engaging real-life cases, and handy checklists and sample documents, Coached to Lead will help anyone who considers working with a professional coach to make smart decisions that maximize valuable resources. Battley reveals all the insider secrets about coaching—how to determine your coaching readiness, how to choose the right coach, and how to use a winning five-step coaching model. She covers all the issues commonly raised as well as not-so-obvious situations and troubleshooting. Susan Battley, Psy.D., Ph.D., is an internationally renowned executive coach and authority on leadership and organization effectiveness. She has worked with Fortune 500 CEOs, Nobel laureates, and university presidents. Commended by the Clinton White House Office of Science and Technology for her media work in leadership, she has been a featured expert on leadership behavior on CNN, CNBC, and NPR, as well as in the New York Times, the Wall Street Journal, and the Washington Post. Battley is founder and CEO of Battley Performance Consulting.